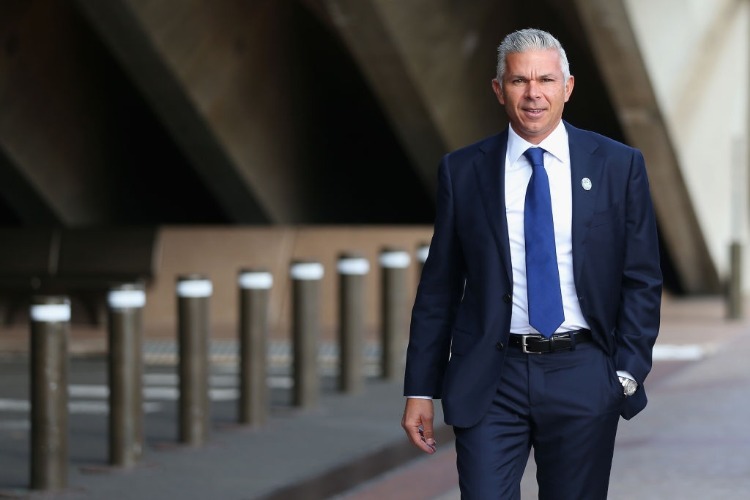 They've lost momentum in the race for the A-League's Premiers' Plate but Sydney FC coach Steve Corica is still eyeing off top spot. Sydney FC's bid for a hat-trick of A-League Premiers' Plates took a hit with Friday's shock 2-1 defeat to Brisbane. Sydney coach Steve Corica admitted Friday's loss hurt his team's chances of securing a third straight Premiers' Plate but with nine games of the season remaining he isn't throwing in the towel on his team clawing their way to top spot by season's end. "We'll have to see on Sunday what happens in that game. We're definitely not going to give up," Corica said. "At the moment we're still five points behind Perth. Even if they win the game on Sunday we'll keep going because there's ... a lot of points still to go." "I thought he was good in the first half, he got a little bit tired in the second half," Corica said. "He probably hasn't played for about a month now, but I was pleased with the combination that him and Adam had up front. It looked very good in the first half."